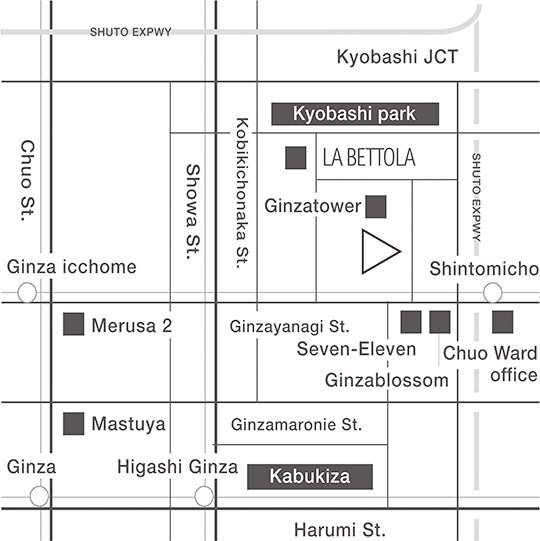 Ginza 1-chome has another, calmer, more serene face. Somewhat off from the main avenue, this area was lined with famed Japanese restaurants patronized by the leading figures of the Meiji and Taisho periods. Nowadays the neighborhood is known as a popular spot for sophisticated shoppers, with its select shops and restaurants frequented by gourmets.